Home > The Group > Finarge Apoio Maritimo l.t.d.a. 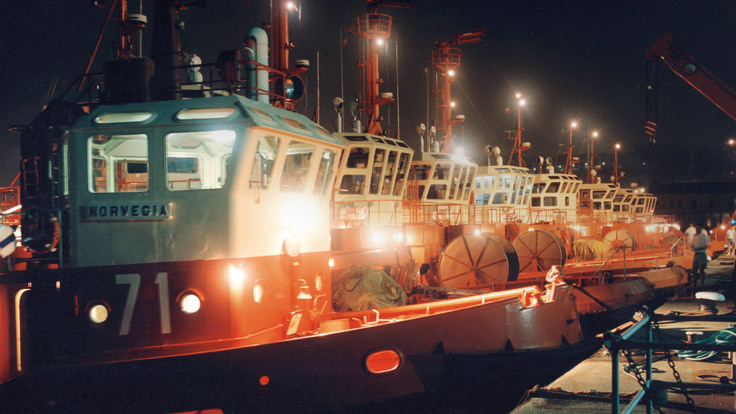 The owner of A.H. Giorgio P.
In 2012, the company signed her first contract as pure agent for a third owner, Fratelli d’Amato S.p.A., under which the company manages the PSV FD Honorable in a long term contract with Petrobras. Along with the other contracts, Finarge Apoio has presently under her management 5 high-end AHTS,1 PSV and 1 OSRV. Taking advantage of her long experience in Brazil, the company is presently in talks with several international owner and she is looking for further opportunities in Brazil. Finarge Apoio Maritimo l.t.d.a. has always been proud of staying on top of the service it provides, and has always been eager ​to comply with the latest safety developing standards.